In this workshop you will learn the basics of decoupage on glass . Using this method, you'll create a unique set of tea-ligh holders. 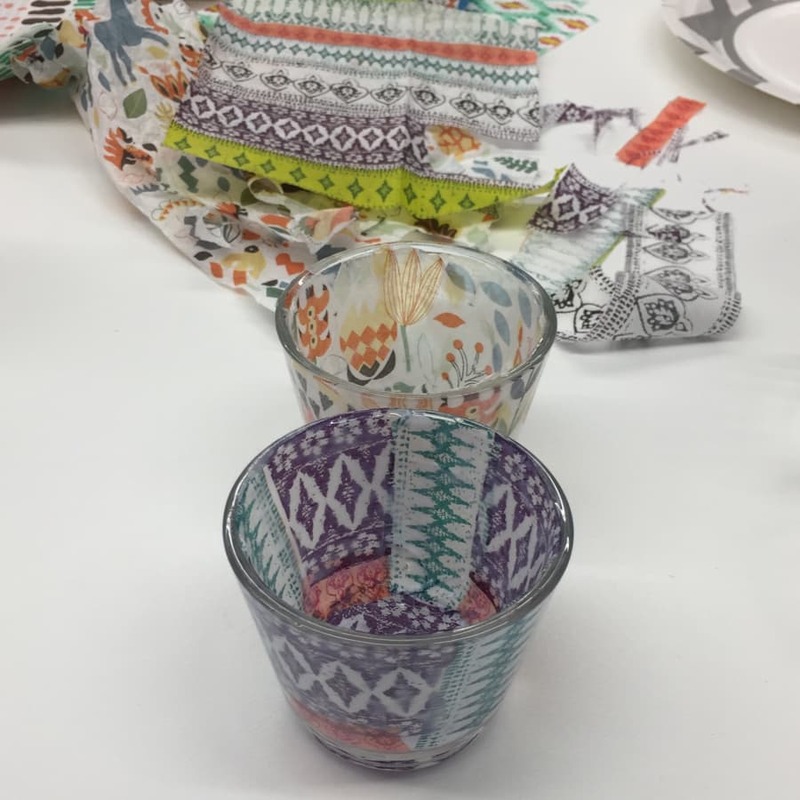 During this two-hour workshop, you will select papers from Gabriela's extensive collection to transform four plain tea-light holders into your unique creations through decoupage. 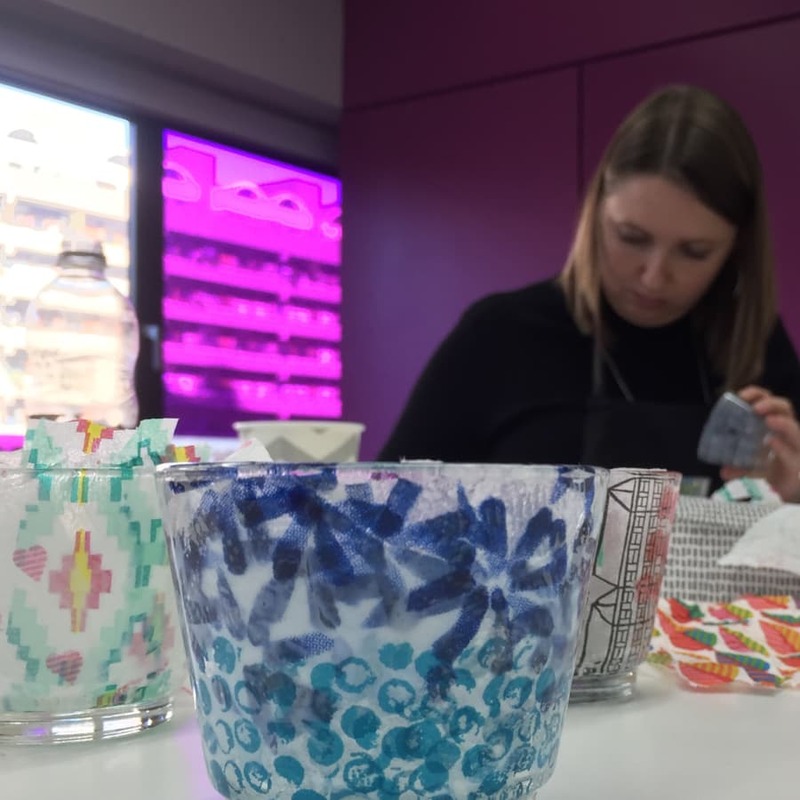 Gabriela will guide you through the design process and show you all the tricks involved in applying layers of thin paper to a glass surface. 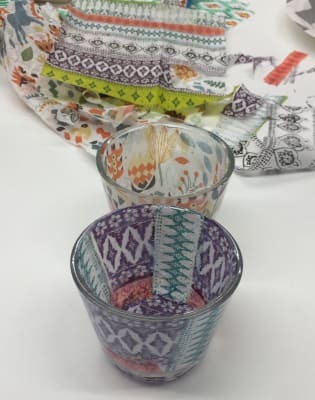 Should you wish to continue experimenting with this technique at home, you will be able to purchase glass blanks and papers at the end of the class. No experience is necessary to take part in this relaxed, informal class which is suitable for adults and children over 12 (who must be accompanied by an adult at all times). Your tutor for this Creative Happy London workshop is mixed-media artist Gabriela Szulman, who creates collages, prints and cards, and also upcycles anything from shoes to furniture with a fusion of painting and decoupage. Her images are inspired by memory, nostalgia and everything vintage. Using re-purposed and found materials is at the core of Gabriela's work and the creative techniques she teaches from the studio.